The benefit of being able to wear the computer could allow staff to walk around while still able to access the internet to find out the answers to customer questions. They could also potentially take photos, record video, send emails and make phone calls. 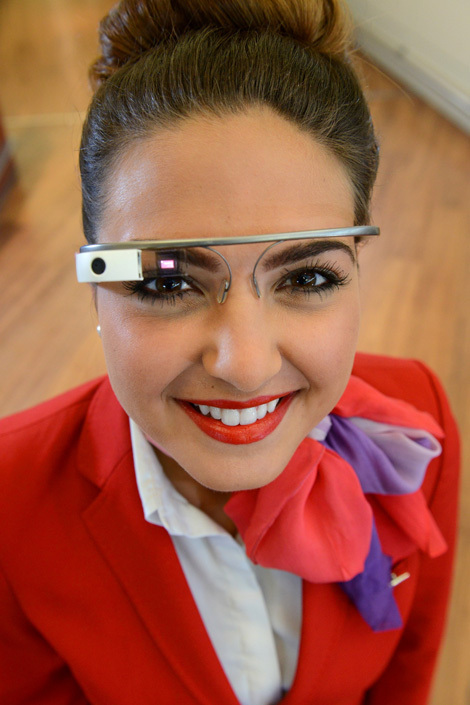 If Google Glass is deemed a success, it could be rolled out at other airports. It is operated both by voice control and touch, by swiping a small touchpad on the side of the frame. There are no lenses — instead, a tiny crystal display creates the impression of a screen in front of the eye. At its heart is Google’s search function. For more information, subscribers can click here to learn about how the tech giant is changing the way we travel. Google Glass is expected to be released to the public some time this year.